Porto Jofre is a fishermen village located at the end of the Transpantaneira road. 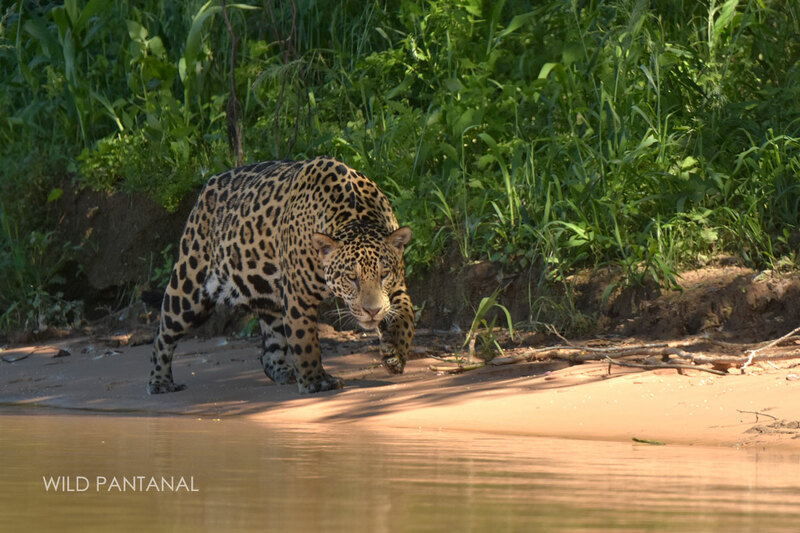 From here, we will explore the Cuiabá river and its tributaries by speed-boats, and in particular the "Encontro das Aguas State Park", the place with the highest concentration of jaguars in the world, a really amazing place, where live lot of caimans, capybaras, birds and jaguars! 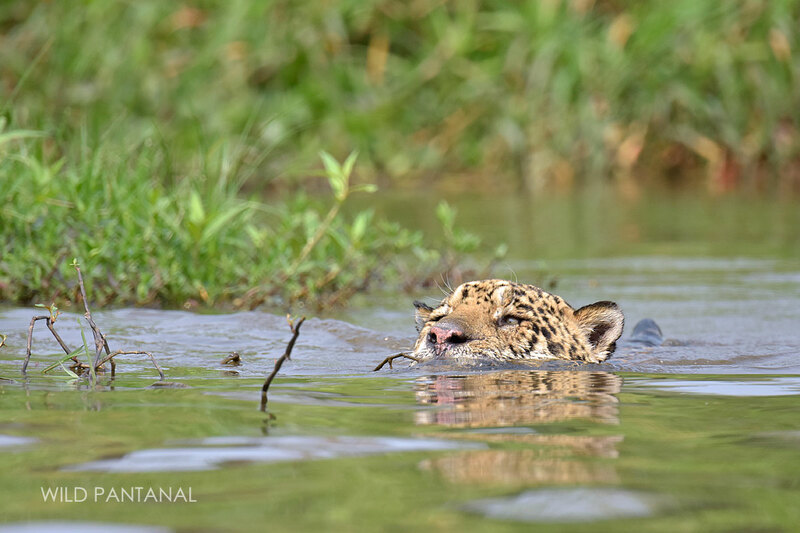 During the dry season, from June to November, jaguars stay close to the rivers where they find water and their favorite preys: caimans and capybaras. 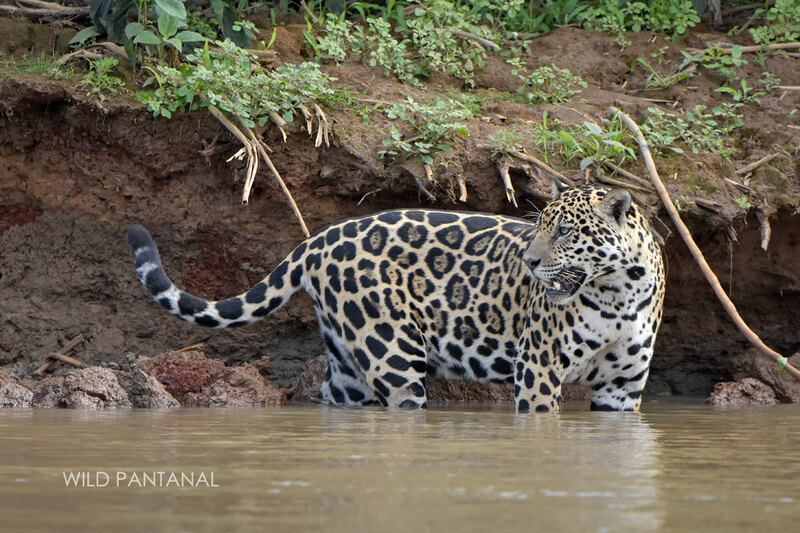 Jaguars rest and walk on the river banks, often they enter in the water to hunt and to take a fresh bath. 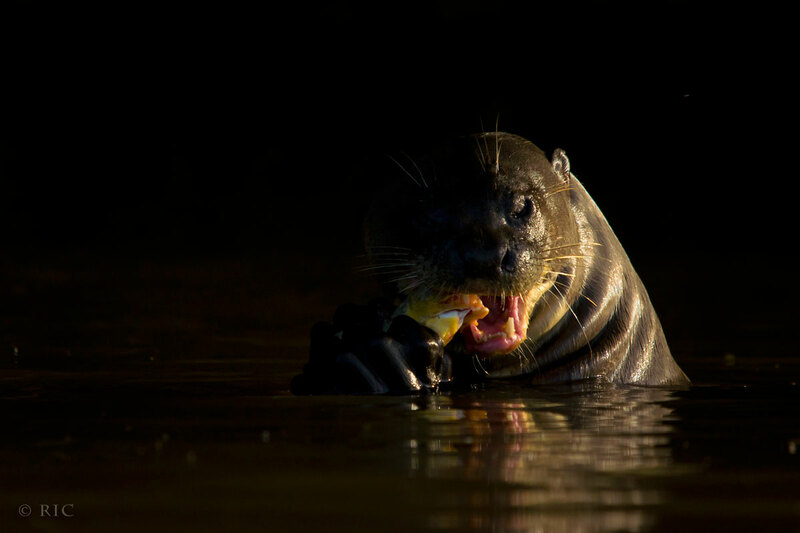 Besides the jaguars you will have also the opportunities to take close up pictures of the endangered giant river otters (Pteronura brasiliensis). Accommodation in possible in either lodge river side or in house-boat. 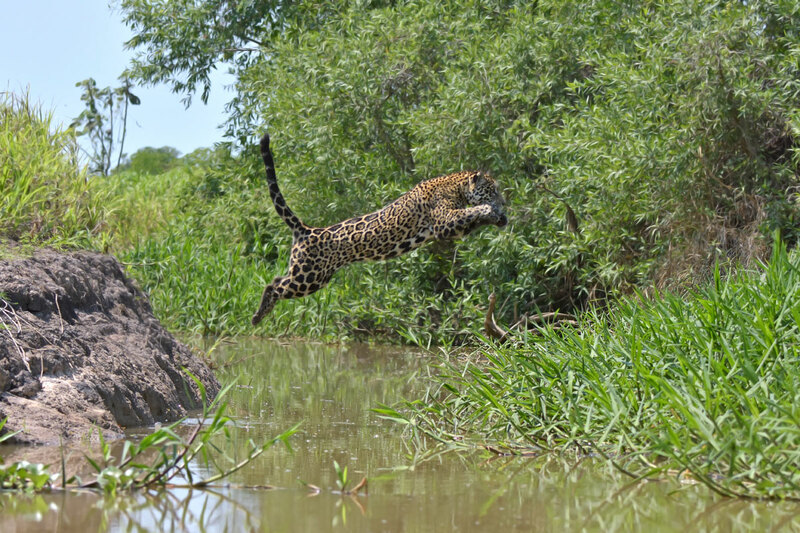 In order to get good jaguar sightings, we suggest to take a tour with at least 3 full days jaguar safari, considering that our tours are completely customizable. 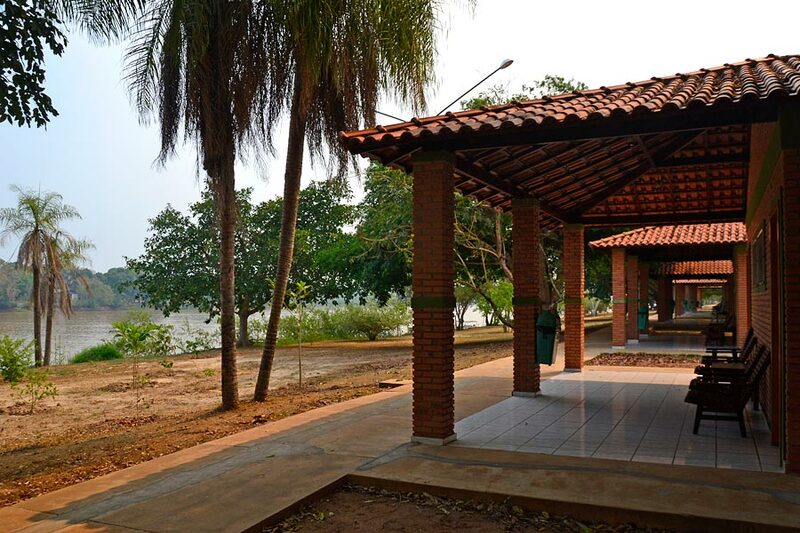 The tour begins at Cuiabá, in the morning we drive for about 1h30m up to town of Poconé. 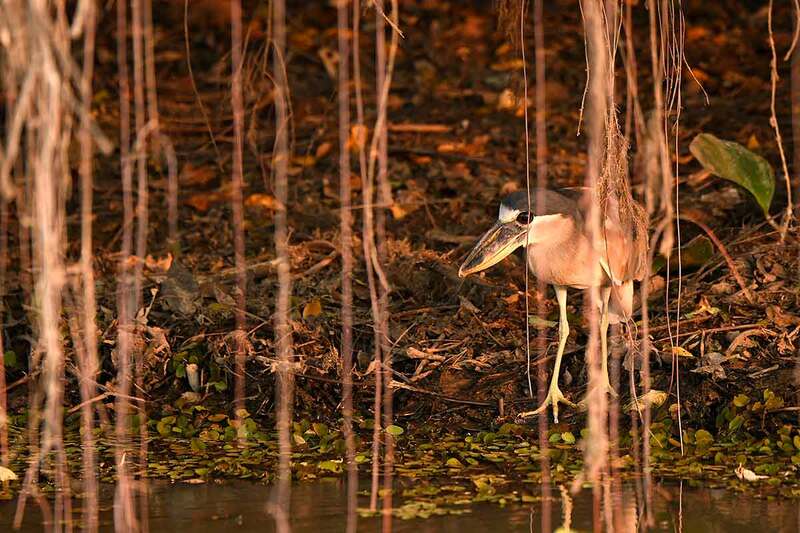 Here we take the Transpantaneira road and drive for others 43km up to the Pousada Rio Claro making stops to photograph a great variety of birds and lot of caiman in the water ponds, with the possibility to spot also marsh deer, coatis, capybaras, giant anteaters, anaconda. Arrival at the lodge at lunch time. 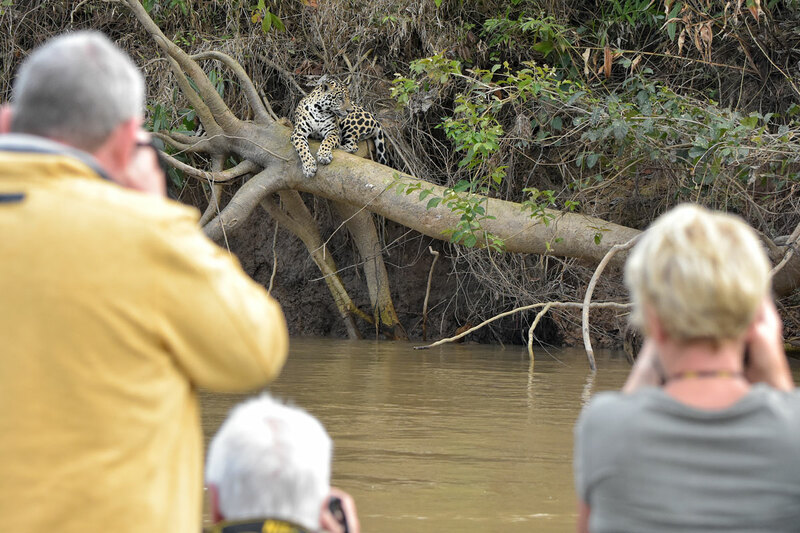 In the afternoon a first boat safari in the Rio Claro river may produce good pictures of kingfishers, hawks, agami heron, tapir and also jaguar. 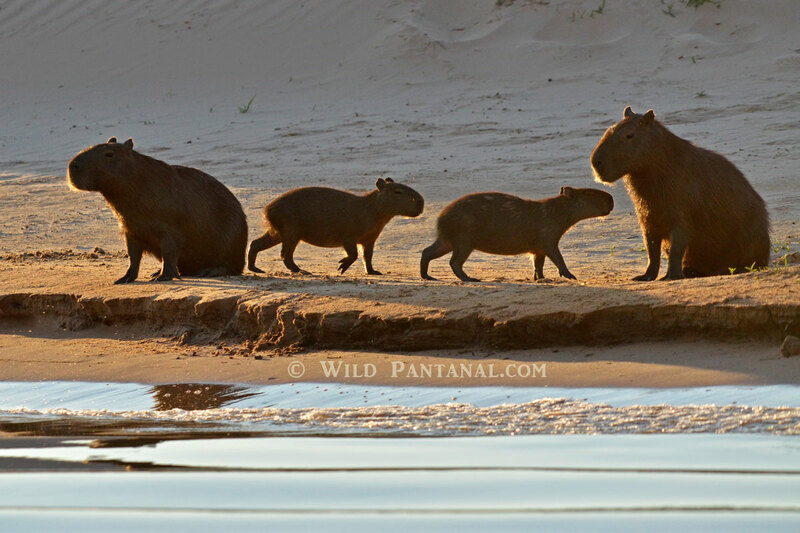 After dinner a night safari offers chances for tapir, ocelot, anteaters, fox, nightjars and more. 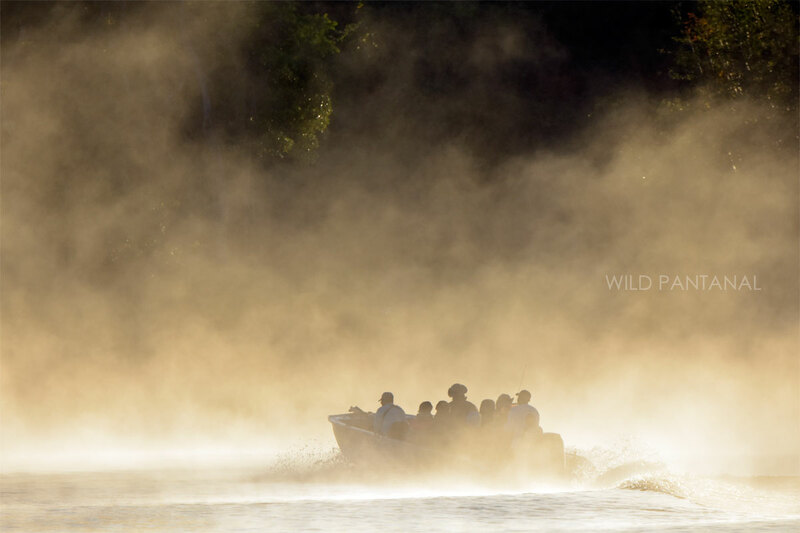 After an early morning breakfast, we go on a boat safari in the Rio Claro river looking for caimans, tapir, black-collared hawk, great black hawk in action fishing, kingfishers, giant otters and of course with chances for jaguars. 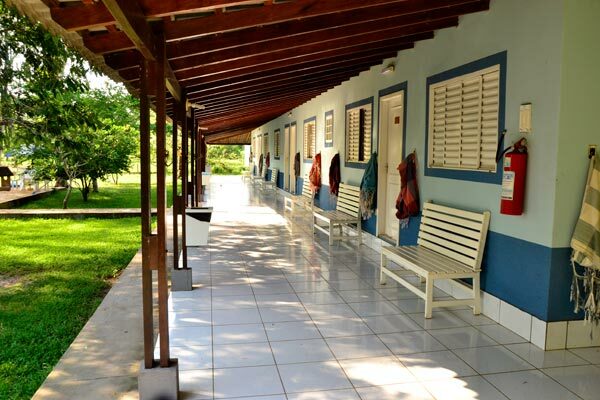 This hotel is located at the end of the Transpantaneira Road on the Cuiabà river. It's characterized by good rooms with all the comforts. In the garden it's possible to observe hyacinth macaws, toucans and other beautiful birds. There is also a beautiful lake home of a lot water lilies (Victoria regia), walking on the wood footbridge you can take amazing pictures of these beautiful plants.